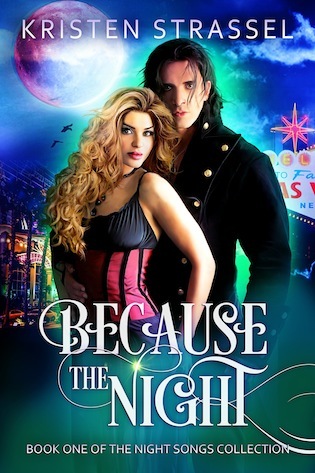 The true darkness of Tristan’s world terrifies me, but when I end up chasing after a vampire, dating his enemy, and hunted by his creator, I realize the only person who will get me into trouble—is me. The tables at Embrace were full by eleven. Donors swirled around the tables, stopping to let a vampire drink, then going back to the rotation with dripping blood from the wound, until the next vampire beckoned them. Many of them had multiple wounds on major arteries. And those blank expressions. It was impossible to tell if they enjoyed it, hated it, or didn’t feel anything anymore, which terrified me the most. Most of the patrons wanted Venom or wine, and mostly by the bottle. Easy. Two waitresses joined us as the night progressed. High tickets, generous tips, and very little to complain about. The noise level in the room rocketed after midnight. A rowdy group of guys bellied up to the bar, ordering shots of Patron with Venom chasers. I gasped when I realized it was Immortal Dilemma. I didn’t recognize the rest of the guys without their makeup or expect to see them here. It was a vampire bar, but it was my little corner of the world. Tristan was at the end, and I caught him smirking out of the corner of my eye. I passed the bottle of tequila over the four shot glasses and then did the same with Venom. I pushed the glasses in front of the guys, stopping in front of Tristan. They toasted and downed the tequila. Except Tristan, who put his down on the bar. He rose on his stool and pulled me onto the bar. “What are you doing?” I asked through clenched teeth as he climbed on the bar next to me. He smiled but said nothing as he pushed me down on my back in front of the rest of the band, who hooted and hollered in approval. “Shouting our relationship for the rooftops. Well, bar top,” he said before he poured his shot in a line from just below my bellybutton to my collarbone and licked it off me. He was wasted already. Great. I should’ve known better than to think because we’d slept together he’d stop being…this guy. The one who made me crazy. He held my shoulders down on the bar and hooked his feet over my legs. I closed my eyes, and tried not to moan as his tongue moved along the inside of my bra top. He pulled me up and moved in for a kiss. Before he connected I slapped him across the face. The rest of the band whooped in approval or amusement, I wasn’t sure which one. After the initial shock wore off, Tristan chuckled, which made me want to slap him again. “What’s wrong, beautiful?” he asked with a lazy smile, his cheek still red from my slap. “You’ll get me fired.” I pushed him, but he didn’t budge. I looked over his shoulder to see if Lennon or anyone else was paying attention to us, but it was business as usual. “Listen to you, trying to tell me about rules.” Like he’d ever followed one in his life. “You better start getting used to them.” He had the nerve to laugh again. I gazed out at the tables with a huff as he nuzzled my chest, and my mouth dropped when I saw the crowd parting for Talis. Her entourage trailed behind her— with Blade in tow—bound by his wrists and legs, his bruised face vacant and dark. I pulled Tristan off me by his hair. “No, but she knows what I do. And you’re her employee. There are no secrets at Embrace.” He watched Blade get dragged into one of the VIP rooms—that minutes before he suggested we use for a quickie—without a hint of sympathy. I jumped off the bar. This time I wouldn’t slap Tristan, I’d strangle him, and get even madder when he thought it was hilarious. I grabbed Lennon’s arm as she poured a drink. She nearly dropped the bottle. “What’s going on?” she asked. “Talis just marched Blade into the backroom. He’s hurt. He’s bound. Did you see him?” My heart thundered in my chest. “I don’t think anyone saw anything but you and Tristan.” She winked at me. It all started one Fourth of July after a hair band show and a few drinks. I had a dream about a girl trying to make her way in Las Vegas that was so vivid I actually moved there to try to write a book about it. It took me almost ten years and a move back to Boston to get it done, but that dream became Because The Night. 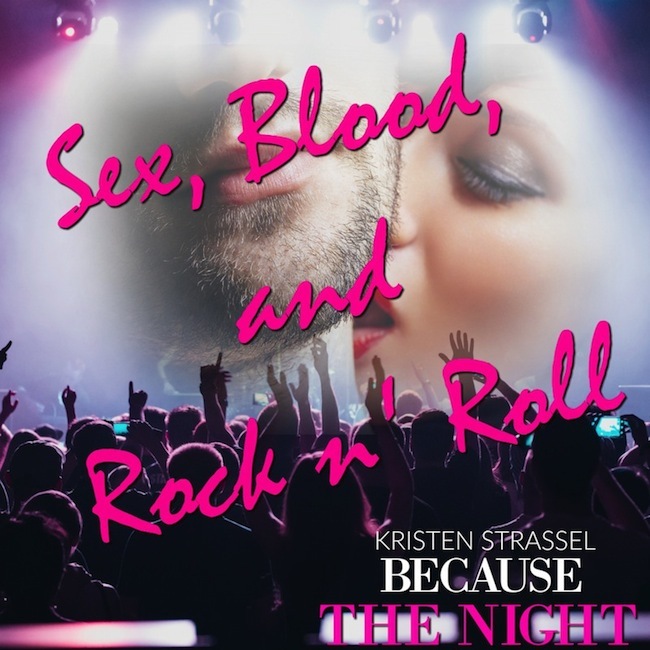 My love of dark paranormal books and the biographies of 60’s and 70’s rock stars inspired my writing style. I write a lot, but when I’m not doing that I can probably be found on a movie set doing makeup. I also love making my house look like a Pinterest board, cooking, watching football, and traveling. I live with my cockatiel, McGee, and I'm always in search of the next happily ever after.